Text Recognition gives you the power to extract words from scans and make the PDFs searchable. For OCR our app uses iTunes On-demand Resources library. 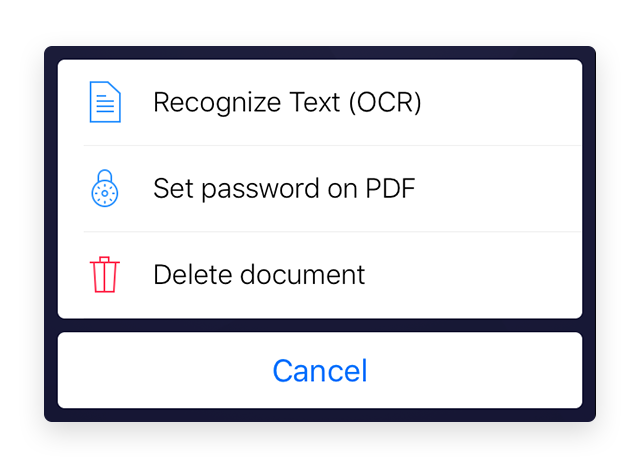 The next time you scan a document, Text Recognition will start automatically. Scanning and recognizing text in papers is only half a job. 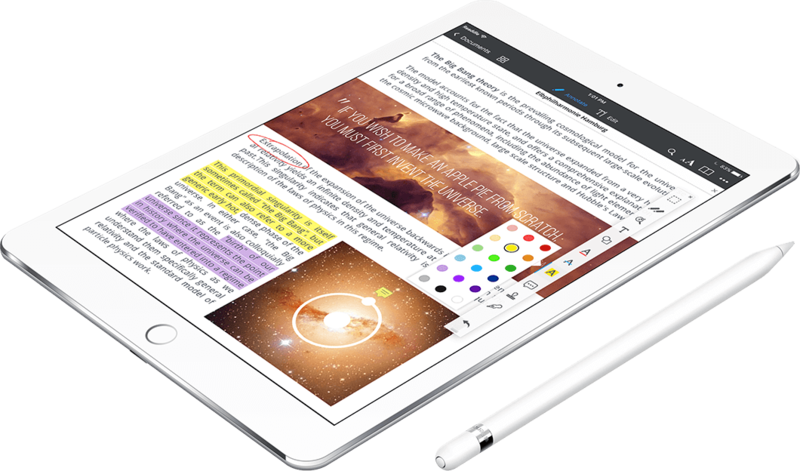 Normally, you might want to annotate important parts, add some text or even sign a PDF. Good news! This can be easily done with our PDF Expert app. Highlight, draw, add text and voice notes, stamps and shapes. All of that is easily exported and is spiced up with the extremely smooth support of Apple Pencil. Do literally anything with your documents' pages. Extract some to a separate document or combine parts from different sources. You have all the superpowers now. Text fields, checkboxes and dropdowns work from scratch with PDF Expert 6. 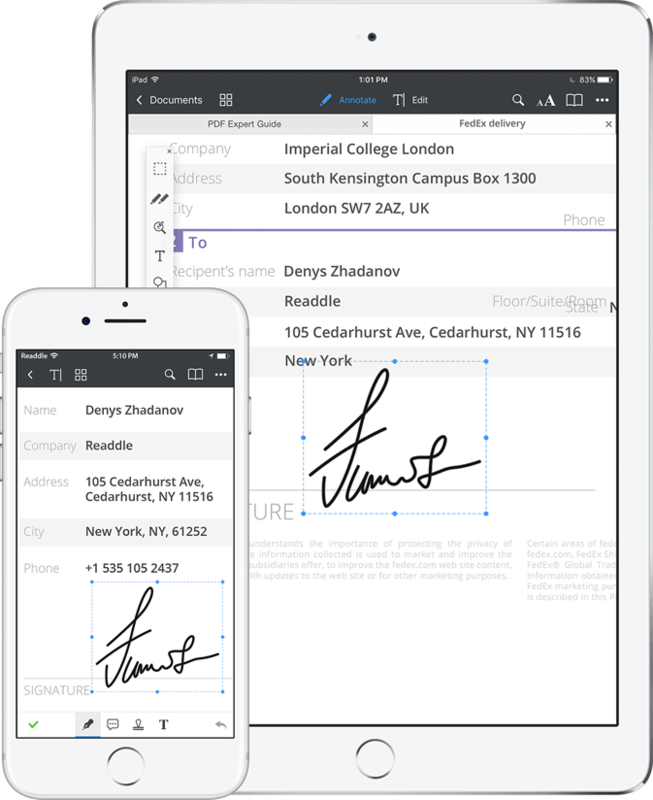 Fill out a form on the go and sign it with a beautiful personal signature in a few taps. 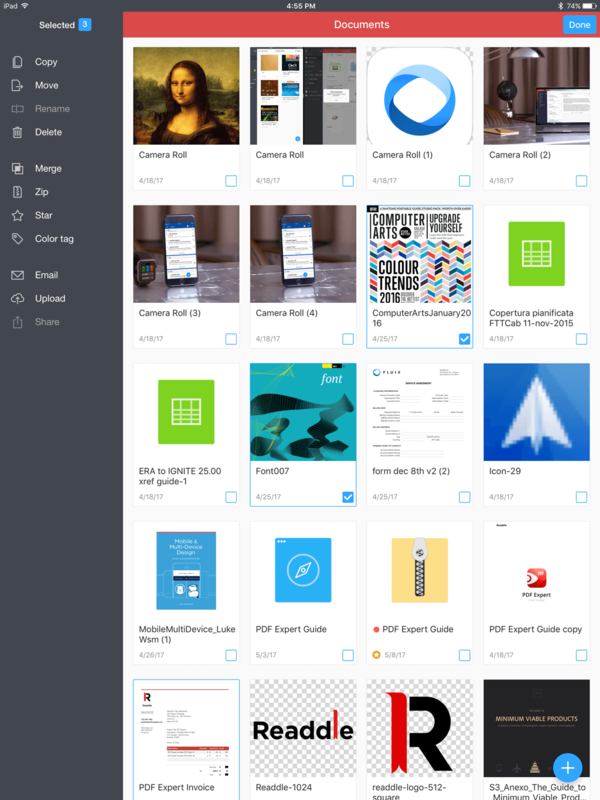 Both apps are parts of Readdle productivity ecosystem and created to smoothly work together from the scratch. Get PDF Expert from the App Store and let us know what you think!